We are more than just an oil change and tune up center; we offer Complimentary 100% Full Service Hand Wash with Every Service! Our Lube and Tune center is specially designed for easy, fast and reliable service. It’s the reason why Prestige was voted Best Auto Repair in San Diego by the A List. At Prestige, we understand the importance of protecting the investment that is your vehicle. 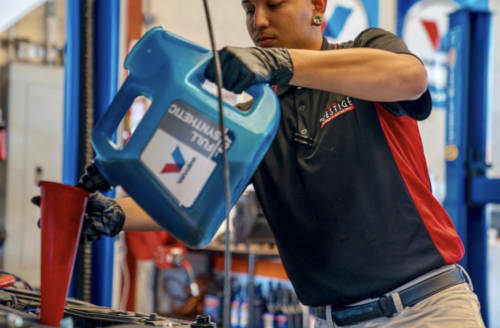 Towards that end, our oil change team is dedicated to keeping your car running smoothly. Backed by Castrol’s superior synthetic and conventional motor oils, we are here to provide you with the best service possible. And to ensure our customers leave happy, every one of our oil changes includes a FREE car wash!